TUESDAY saw the official launch of Celtic FC Foundation’s 2018 Christmas Appeal and the Celtic first team got fully behind this year’s initiative, as members of the squad took time out to help share the message of our appeal. The appeal lies at the very heart of why our club was formed and honours the founding principles which were set back on November 6, 1887, as we aim to continue to help those in our community who are most in need. 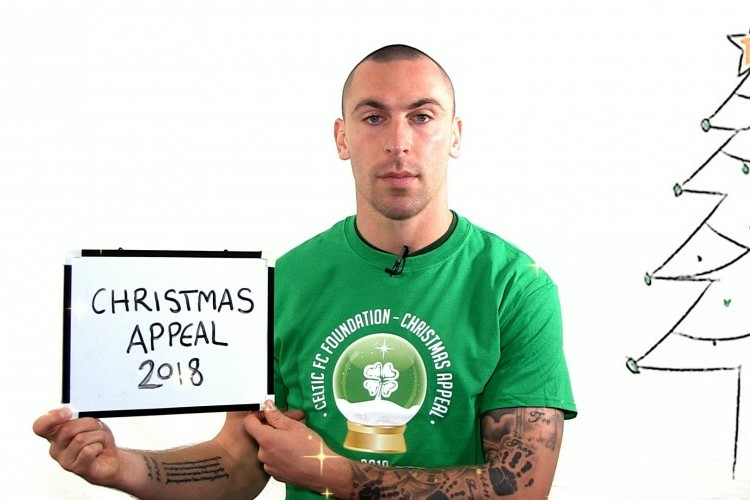 Scott Brown, Craig Gordon, Kieran Tierney, Callum McGregor, Kristoffer Ajer, Jack Hendry, Scott Sinclair, Lewis Morgan, Olivier Ntcham, James Forrest, Ryan Christie and Odsonne Edouard showed their support, in reiterating the aims of this year’s appeal. Celtic FC provided fantastic backing to the appeal by kicking it off yesterday with a wonderful donation of £10,000. So together, we can make dreams come true this Christmas.